Secure online shopping for McCallum Bagpipes, chanters, reeds, bagpipe maintenance and accessories. 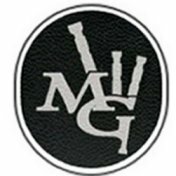 Listen to some examples of MG Reeds here. All the bagpipes we supply are hand picked to ensure the very best selection of wood and materials is used. Our range of practice chanters have become as popular, well known and respected as our bagpipes. Manufactured in a choice of Polypenco or wood, these instruments are a quality product producing a true tone for the discerning ear. Each chanter carries the McCallum Bagpipes marking, your guarantee of workmanship to the highest standards. On our practice chanters we now have a great selection of plain or attractively decorated styles and sizes available with some stunning and very high quality full alloy and hand engraved Sterling silver ferrules on our top of the range products. Highly durable and easy to maintain, your McCallum Bagpipes practice chanter will offer you years of enjoyment. Why not add one of our practice chanters to the contents of your pipe case? Turn practice into perfection with a McCallum Bagpipes practice chanter. Please note : All Purchases made will be charged in GBP (Stirling). Conversion rates displayed are estimates and are provided for information purposes only. Secure payment using a credit or debit card is made through PAYPAL. You do not need a PAYPAL account for this. Non EU Customers please note that goods may be subject to import duties and taxes by your countries customs authorities which you must pay before parcels will be released by them for delivery. and even with moisture they were solid"
and I've tuned them once"